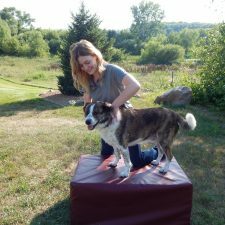 Healing Meadows Animal Chiropractic is a Minnesota Twin Cities based Animal Chiropractic service provided by Dr. Jessica Donaldson. Healing Meadows Animal Chiropractic is a hands-on, non-surgical, drug-free approach to treating soft tissue and joint disorders as well as associated neurological dysfunction. 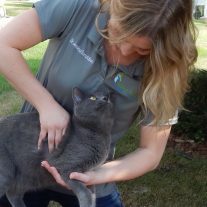 Healing Meadows Animal Chiropractic is a Minnesota Twin Cities based Animal Chiropractic service provided by Dr. Jessica Donaldson. Healing Meadows Animal Chiropractic is a hands-on, non-surgical, drug-free approach to treating soft tissue and joint disorders as well as associated neurological dysfunction. Animal Chiropractors use specific points of contact throughout the joints of the skull, spine, and extremities to elicit a high velocity (quick), low amplitude (small motion) thrust through the line of the joint. Cats have an almost identical nervous system and anatomical structure to that of humans and can reap the same benefits of Chiropractic. Dogs have an almost identical nervous system and anatomical structure to that of humans and can reap the same benefits of Chiropractic. 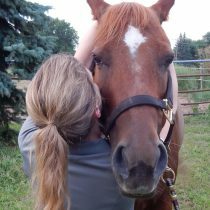 Horses have an almost identical nervous system and anatomical structure to that of humans and can reap the same benefits of Chiropractic. College of Saint Benedict and Saint John’s University with a Bachelor of Arts degree in Nutrition Science. She graduated from Northwestern Health Sciences University with her Doctor of Chiropractic degree in 2013. She is certified by the National Board of Chiropractic Examiners and licensed by the Minnesota Board of Chiropractic Examiners.